The Master Gardeners had their first Demo Garden meeting this morning, and I think we’ll end up having lots of exciting things growing in the garden this year! Of course there will be tomatoes and herbs. The Family of 4 Garden will be making a return appearance, and we’ll be adding a Family of 4 Cutting Flower Garden. 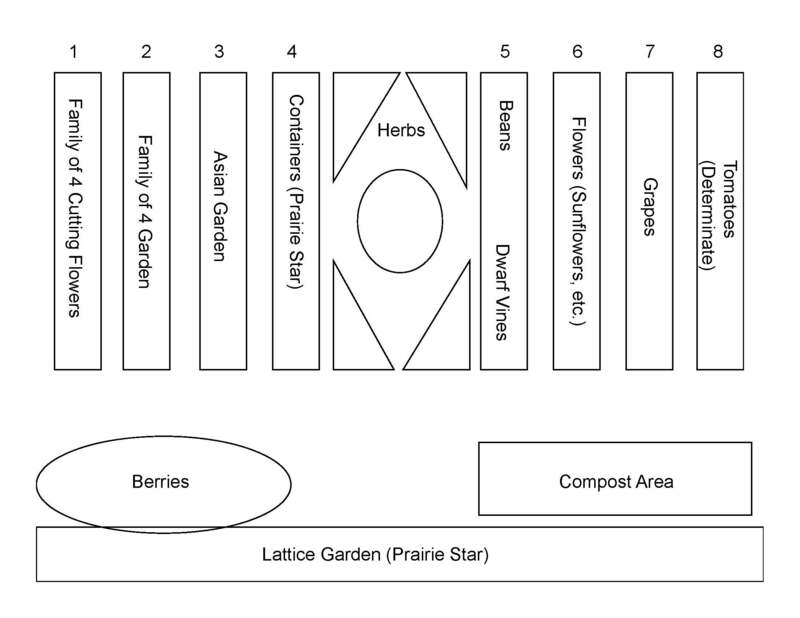 Check out the rough map below to see everything that will be coming to the Demo Garden this year! Posted on January 19, 2010, in Around the Garden, Family of 4 Garden and tagged garden planning. Bookmark the permalink. Leave a comment.